Regularly writing successful blogs is one of the best things you can do to attract site traffic and more traffic will help your small business grow. How often do you come across a blog on a small business website and the writer has written a blog with a nice picture of a client or product but then they write about what sort of day he or she has had with little relevancy to the picture. While there may be times when this sort of blog may be relevant to the website or even meant as sort of humour at times but if you are interested in promoting your business and what it is about there are a few guidelines you should follow. 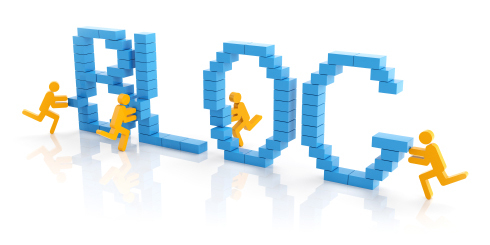 Keep the blog relevant to what you are promoting. Post regularly say once a week and preferably on the same day. Don’t waffle, keep it short and to the point. Read what you have written and ask yourself if what you have written is really about promoting your business. Make your blog interesting to your readers. Remember, your potential visitors are hopefully interested in what you can offer and not about how you feel or what sort of day you have had. Keep that for Facebook if you have to. Include useful information to help your visitors. Use graphics or images to show your product or get your point across. Read your blog before posting and correct any errors. And most important of all – WHO, WHAT, WHY, WHEN, WHERE and HOW. Use these in your blogs, preferably in the first sentence or two, to describe what you are blogging about. If you can’t use most if not all these then think about if you should be posting a blog. Using these points above correctly will help searchers find your blog. Talking about how hard your day was wont help you attract new customers. After all you DO want to target new and potential clients or customers don’t you.